When I think about middle school or even high school for that matter, the cafeteria food I loved the most was tater tots. A lot of times I would eat only the tater tots because the hamburgers were highly suspect. Well as the years pass you know better, so you start to do better. 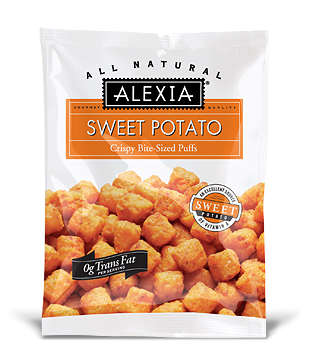 One day as I passed the frozen food section I notice sweet potato tater tots! I was so pleasantly surprised, and wondered why I had not thought of this myself. Like most Southerners, I love sweet potatoes so I couldn't resist. In walks the snackoholic DH who has a special knack for coming up with the best unhealthiest snacks you can think of. 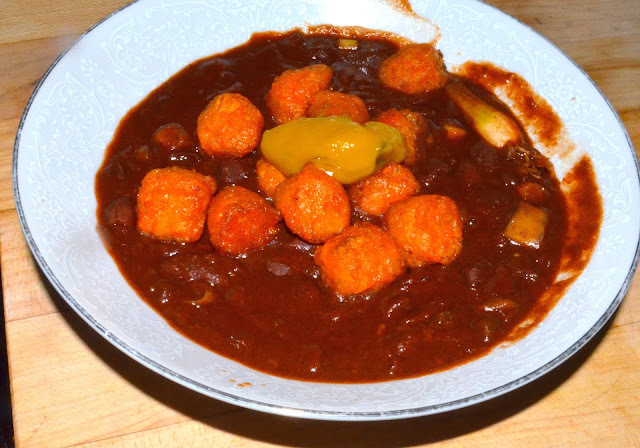 Well, he decides that he is going to cook dinner... sweet potato tater tots, with turkey chili on top. Now in his defense, I think he was looking for a healthier version of the infamous chili cheese fries. So he kicked up the protein and added 8 - 10 sweet potato tater tots with it. I have to say, I loved it! 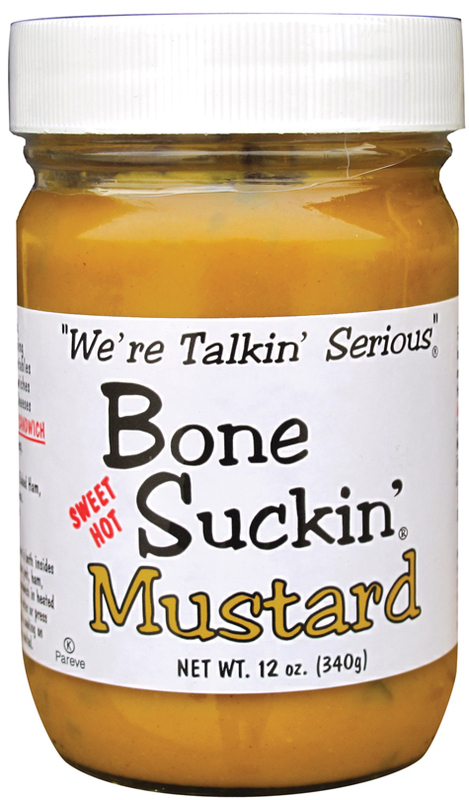 This is one of my favorite comfort meals. Also since the tots are made from sweet potatoes, it's not as bad as regular fries or chips. I decided to make a vegetarian version, so I used a chili mix and some left over red beans. 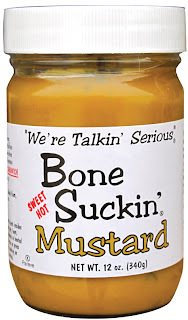 Then I topped it off with a little sweet hot bone sucking mustard. 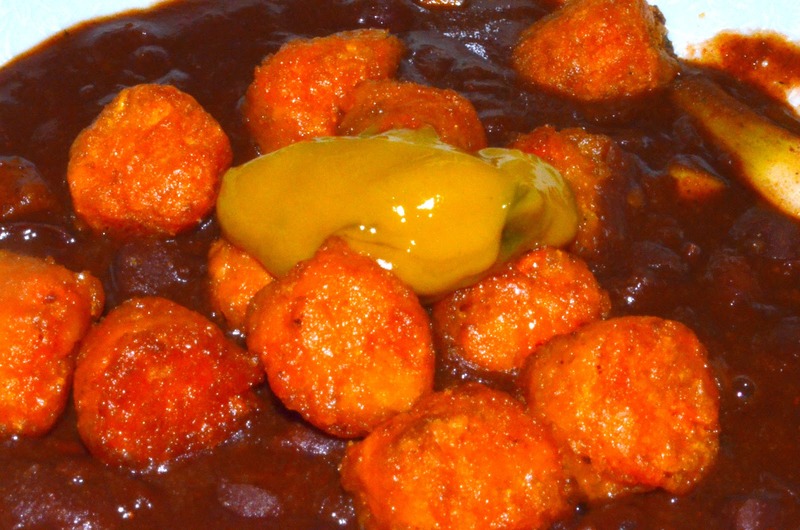 CHILI, SWEET POTATO TOTS, & SWEET SPICY MUSTARD! WHAT HEALTHIER ALTERNATIVE DO YOU HAVE FOR YOUR NORMAL COMFORT FOODS?? I'm sharing this with my boot-camper today. This is a good recipe for kids because sweet potatoes is loaded with vitamin A.